WASHINGTON — The special counsel is investigating a payment made to President Donald Trump's foundation by a Ukrainian steel magnate for a talk during the campaign, according to three people briefed on the matter, as part of a broader examination of streams of foreign money to Trump and his associates in the years leading up to the election. Investigators subpoenaed the Trump Organization this year for an array of records about business with foreign nationals. 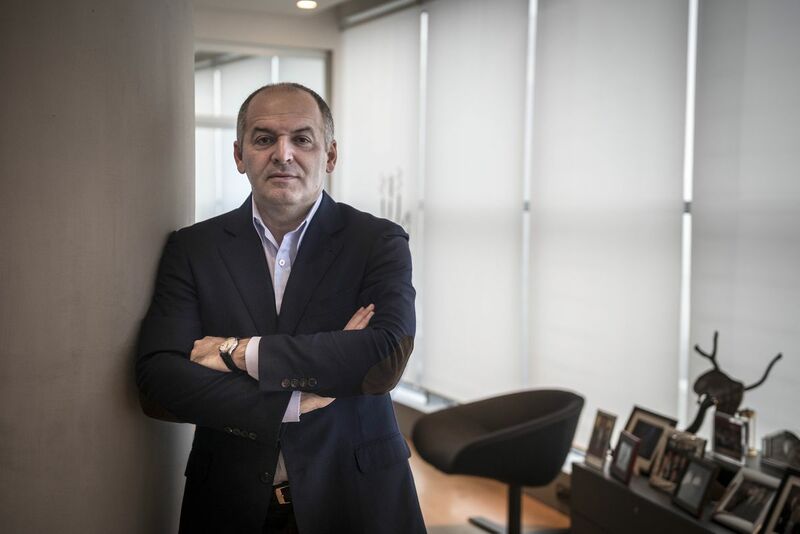 In response, the company handed over documents about a $150,000 donation that the Ukrainian billionaire, Victor Pinchuk, made in September 2015 to the Donald J. Trump Foundation in exchange for a 20-minute appearance by Trump that month through a video link to a conference in Kiev. Michael D. Cohen, the president's personal lawyer whose office and hotel room were raided on Monday in an apparently unrelated case, solicited the donation. The contribution from Pinchuk, who has sought closer ties for Ukraine to the West, was the largest the foundation received in 2015 from anyone besides Trump himself. The subpoena is among signs in recent months that the special counsel, Robert S. Mueller III, is interested in interactions that Trump or his associates had with countries beyond Russia, though it is not clear what other payments he is scrutinizing. Mueller also ordered the Trump Organization to turn over documents, emails and other communications about several Russians, including some whose names have not been publicly tied to Trump, according to the three people, who would not be named discussing the ongoing investigation. The identities of the Russians were unclear. The payment from Pinchuk "is curious because it comes during a campaign and is from a foreigner and looks like an effort to buy influence," said Marcus S. Owens, a former head of the IRS division that oversees tax-exempt organizations. He called the donation "an unusual amount of money for such a short speech." Cohen did not respond to a request for comment. Jay Sekulow, a lawyer for the president, did not return several messages seeking comment, nor did a lawyer for the Trump Organization. When The New York Times revealed the existence of the subpoena in March, Trump's associates played it down as a routine court order to ensure the Trump Organization had handed over all the documents Mueller had demanded. Trump assailed the special counsel investigation on Monday as a "witch hunt," reaching for a favored insult in response to the seizure of Cohen's records. He complained that he had cooperated with the inquiry and viewed the warrant for the raid, obtained by federal prosecutors in Manhattan after a referral from Mueller, as an extreme step. "It's a disgraceful situation," he told reporters at the White House. "It's a total witch hunt. I've been saying it for a long time. I've wanted to keep it down. I've given over a million pages in documents to the special counsel." Mueller has also examined a deal Cohen was putting together with Trump to build a Trump Tower in Moscow. Trump said last summer that Mueller should not look at his or his family's finances beyond issues related directly to Russia. But the special counsel's investigators have questioned witnesses about whether money from the Persian Gulf had been used to finance Trump's political efforts and asked for information on Pinchuk. The inquiry into the Trump Organization's payments from foreign nationals underscores how diffuse Trump's sources of income have been over many years. And the destination of Pinchuk's donation — the Trump Foundation instead of the president's personal coffers — raised fresh questions about how the president handled the entity he set up to deal with charitable giving. Trump's foundation attracted scrutiny during the 2016 campaign over revelations about his lack of financial support for it and his use of it to pay legal settlements rather than fulfill pledges he made to give to charity. In 2007, Trump used $20,000 from the foundation to buy a 6-foot-tall portrait of himself. In the same filing, the foundation disclosed the donation from Pinchuk for Trump's video appearance. Pinchuk is the son-in-law of a former president of Ukraine, Leonid Kuchma, who from 1994 to 2005 led a government criticized for corruption, nepotism and the murder of dissident journalists. Pinchuk, who has been accused by steel-makers in the United States of illegally dumping steel on the American market at artificially low prices, drew more scrutiny during the campaign for his ties to Hillary Clinton and her family foundation. He has donated more than $13 million to that organization since 2006. Trump's appearance was broadcast at the Yalta European Strategy conference, which promotes pro-European Union policies for Ukraine. Through his own foundation, Pinchuk sponsors the affair, which typically attracts well-known former Western leaders like former Prime Minister Tony Blair of Britain and former President Bill Clinton. It was moved to Kiev after Russia's annexation of Crimea in 2014. In a statement, the Victor Pinchuk Foundation said it reached out to Trump and other world leaders to help "promote strengthened and enduring ties between Ukraine and the West." The foundation said the donation was "a specific request of Mr. Trump's Foundation in September of 2015 when there were multiple candidates for the Republican nomination for president and it was by no means assured that Mr. Trump would be the Republican nominee in 2016." At the time, Trump occupied an unusual position in the presidential race. Though he was the Republican front-runner, the primary field was crowded and he was being vetted or seriously considered by few, if any, in the news media or the Republican establishment. The event, Trump's first foray into global politics during the campaign, was set up by Doug Schoen, a veteran political consultant and pollster who works with Pinchuk, according to a person familiar with how the speech was arranged. Schoen, a frequent Fox News guest, has known Trump for years and contacted him personally to set it up at the end of August 2015, according to the person. Trump did not raise the prospect of any payment. But the next day, Cohen called Schoen to solicit the $150,000 as an honorarium, the person briefed on the matter said. Schoen, who had gotten to know Cohen by running into him in the green room at Fox News, dealt with him and not Trump directly, according to another person briefed on the exchange. The Kiev talk received little attention, with the scant coverage focused on the awkward nature of Trump's delivery. He repeatedly stopped speaking, apparently believing he had to pause to give translators time to relay what he was saying. "You need not wait for any translation," Schoen finally told him. Trump continued to pause and said he was having trouble hearing. "The sound system is terrible because there is a huge delay and feedback," he said. Trump used the appearance to criticize President Barack Obama amid deteriorating relations between the United States and Russia over its incursions into Ukraine, which had begun a year earlier. "Our president is not strong and he is not doing what he should be doing for the Ukraine," Trump said, using the article before Ukraine, which is seen as insulting by some Ukrainians. "Putin does not respect our president whatsoever," he said of President Vladimir Putin of Russia. Ukraine, once a part of the Soviet Union, has been at the center of another part of Mueller's inquiry. He is investigating the consulting work done in Kiev by Trump's former campaign chairman, Paul Manafort, for the country's pro-Russian former president, Viktor F. Yanukovych. Manafort has pleaded not guilty to charges of tax fraud and other financial crimes. He resigned from Trump's campaign in August 2016 after handwritten ledgers were made public showing that he received $12.7 million in undisclosed cash payments from Yanukovych's pro-Russian political party from 2007 to 2012.